As the future of the Iran nuclear deal looks increasingly uncertain, European diplomats are hard pressed to find solutions which balance President Trump’s demands to “fix” the accord with Iranian expectations. In the face of renewed U.S. sanctions, the question now is how far can and should Europe go to preserve the agreement? 1) Send firm diplomatic signals. European leaders should send credible signals that the EU is willing to take action if confronted with US sanctions. Useful tools for signalling include reviving EU “blocking regulations” (which prohibit EU persons from complying with US secondary sanctions or acknowledging the jurisdiction of non-EU courts or authorities with respect to those sanctions). Despite the drawbacks, the preparation of blocking regulations would convey to Washington that Europeans are willing to fight for the deal, and to Tehran that Europe remains committed to the agreement. 2) Improve the financing conditions for European businesses in Iran and shield the most important economic contracts with Iran from the effects of sanctions. This could include steps to protect credit lines to Iran, with more credit agencies and banks across Europe issuing euro-denominated credit lines without exposure to US financial markets, thus circumventing the reach of US sanctions. European policymakers should also actively work to encourage Iran to improve its investment climate, and push for the full implementation of the action plan for dealing with terrorist financing devised by the Financial Action Task Force (FATF). 3) Centralize and streamline decision-making with the E3 responsible for negotiations. Coordinating the EU’s policy posture with all member states and drawing on the institutional knowledge of the EEAS will remain a prerequisite for strong diplomacy. But pursuing negotiations in a narrow format will enable more flexible and executive diplomacy. This will help prevent the worst-case scenario where Europe unintentionally alienates both the United States and Iran. 1) Carve out US exemptions for European businesses. European policymakers should seek exemptions to nuclear related secondary sanctions for European companies. This could either be a transatlantic quid pro quo where the United States would waive secondary sanctions in exchange for a commitment from Europeans to address specific US concerns. 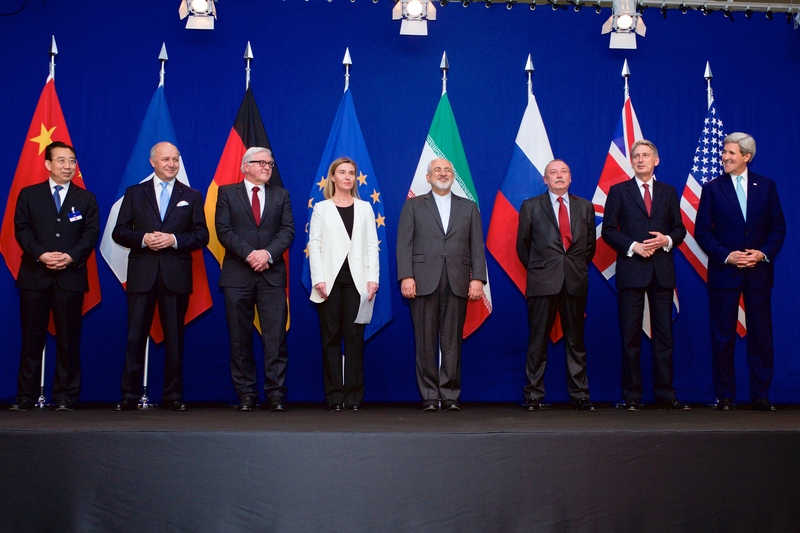 For example, a public statement by E3/EU that if Iran should deviate from the restrictions imposed on its nuclear program pursuant to the deal, they will work with Washington to swiftly address any breaches. If the broader blanket waivers were unobtainable the focus would move to more limited national exemptions, including companies applying for exemptions under the deal’s “grandfather clause” which stipulates that sanctions will not be applied retroactively to projects compliant with the nuclear accord. 2) Maintain unity within the EU. There is currently strong support for the agreement within the EU. The prospect of a political and economic confrontation with the United States will make preserving unity more vital. 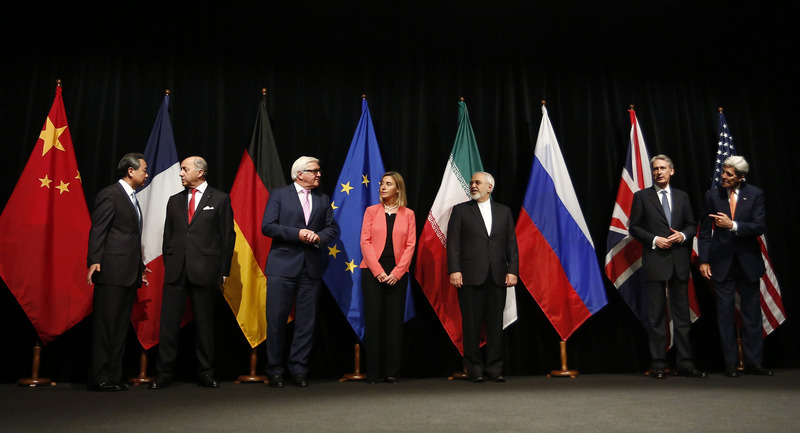 The future of the JCPOA may well become a divisive issue in transatlantic relations; it must not become a divisive issue in internal EU politics. 3) European support for countering Iran’s assertive behaviour should be contingent on an absence of US secondary sanctions and US licensing performance. Europeans should not make commitments on countering Iran’s missile program, inspections and break-out times that put Iran’s adherence to the deal under stress if the United States cannot address Europe’s concerns and meet its economic commitments under the deal and refrain from secondary sanctions. As uncertainties grow as to whether President Trump will extend the sanctions waiver it is reasonable for Europeans to make what they have to offer in support of US concerns increasingly conditional on US acceptance of European concerns. While there is no silver bullet to handle US withdrawal from the nuclear deal, there are ways forward for Europe to make the best of a sub-optimal situation.